No Suction and Priming Problem. Easy to dismantle and repair. Specially designed ring is provided for easy installation. Starting Method: Capacitor Starts and Run (CSR). Overhead storage water tank filling from sump. Water supply for commercial establishments like hotels, lodgings, etc. CRI Plano100 1HP Openwell Submersible Pump is a premium quality Submersible Pumps from CRI. Moglix is a well-known ecommerce platform for qualitative range of Submersible Pumps. All CRI Plano100 1HP Openwell Submersible Pump are manufactured by using quality assured material and advanced techniques, which make them up to the standard in this highly challenging field. 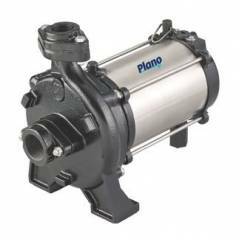 The materials utilized to manufacture CRI Plano100 1HP Openwell Submersible Pump, are sourced from the most reliable and official Submersible Pumps vendors, chosen after performing detailed market surveys. Thus, CRI products are widely acknowledged in the market for their high quality. We are dedicatedly involved in providing an excellent quality array of CRI Submersible Pumps.